From left: East Renfrewshire Council's Environmental Health Officer, Kirsten Walsh, East Renfrewshire Council Convener for Environment, Councillor Alan Lafferty, Primary 7 pupil, Cecily Coffey Craig, St Clare's Primary Head Teacher Anne-Marie Absolom, Primary 6 pupil, Rocco Watters and East Renfrewshire Council Environmental Health Officer, Richard Mowat. Seven primaries in Newton Mearns and Barrhead are part of the initiative, which will give the schools’ Junior Road Safety Officers access to air monitors to allow measurements of nitrogen dioxide to be taken during drop-off and pick-up times. Throughout the project the council’s Environmental Health team will also attend assemblies at each school to highlight the effect that engine idling, poor parking, congestion and general traffic is having on local air quality around the school gates. An air quality banner competition is also being run in each of the schools, with the winning designs to be displayed outside school gates to encourage pupils and parents to think about air quality and how to improve it around the school. This project has been set up to complement the current “Beat the Street” initiative, which is running in Barrhead and Newton Mearns to encourage pupils and parents to walk, scoot or cycle the school run. The first school to complete the air quality project is St Clare’s Primary, in Newton Mearns, and the winners of the banner competition were announced at a special assembly on Friday. 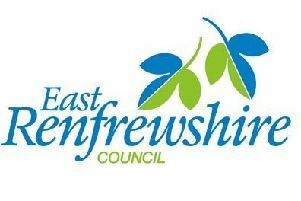 Councillor Alan Lafferty, East Renfrewshire Council’s Convener for Environment, was on hand to unveil the winning designs. Councillor Lafferty said: “This is a fantastic project which will educate pupils about the impact cars can have on the environment. It is important that we all consider what steps we can take to improve air quality around our schools, now and for generations to come. “I was delighted to be at St Clare’s to hear first-hand the time and effort the pupils have spent learning about this project. “Their hard work and dedicated commitment to help reduce pollution and congestion within their area is amazing, and I’m confident these wonderfully illustrated banners will help make that change. “I’m looking forward to seeing what’s produced at the remaining schools as part of this innovative project. The other schools taking part in the project are Cross Arthurlie Primary, Mearns Primary, St Mark’s Primary, Kirkhill Primary, St Cadoc’s Primary and Carlibar Primary. 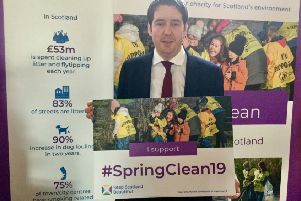 Funding from the Scottish Government and Scottish Environment Protection Agency (SEPA) has been used to purchase the banners and hire the three air monitors being used for the duration of the project.